Received and reviewed the initial report from the Synod Vision and Mission Team. Appointed Judy Batterman to the Synod Council to replace Betty Wilken, who resigned. Appointed Patrick Gregory to serve as the Synod Council’s representative on the Synod Nominating Committee. Appointed Pastor Sylvia Karlsson to the Seeking the Spirit Within Advisory Board. Appointed Pastor Kristen Van Stee as the chairperson of the Synod Global Mission Committee. Approved appointments of Rob Johnson and Bob Lanik to the Immanuel Board of Directors. Authorized the transfer Synod investments from current accounts to the ELCA’s Fund A. Approved funding from the Synod Contingency Fund of up to $15,000 for support of the Nile Lutheran Chapel, a Synod Sudanese ministry in north Omaha. 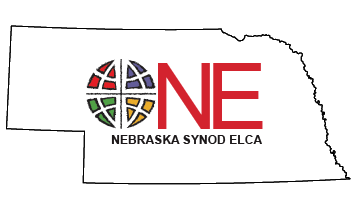 Approved $10,000 of funding for relocation of the Nebraska Synod office. Approved various housing allowances for rostered leaders employed by the Nebraska Synod. Designated the 2015 Synod Assembly offering for support of Missionaries and Young Adults in Global Mission as part of the Campaign for the ELCA. Affirmed a discounted Synod Assembly registration fee for youth and young adults under the age of 30. Approved various constitutions, bylaws and continuing resolutions submitted by Nebraska Synod congregations.